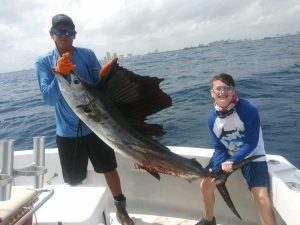 We are again blessed by great weather and very pleasant sea conditions and those anglers who have joined us here aboard Marlin My Darlin for a fishing charter in Fort Lauderdale have experienced what we have been mentioning for some time now. 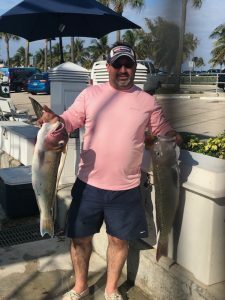 There are really nice fish available and many of them within two miles of shore, but tougher fishing days continue to pop up with little rhyme or reason, and all anglers should be aware of this circumstance. 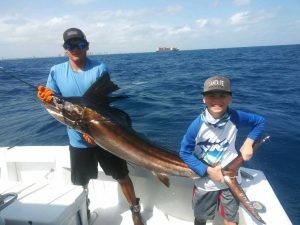 The two photos of Dane and Harper, great kids with full grown Sailfish catch and release photos. You have to love those shirts they are wearing. And how about that great action shot of that jumping sail, the leading photo for this report. 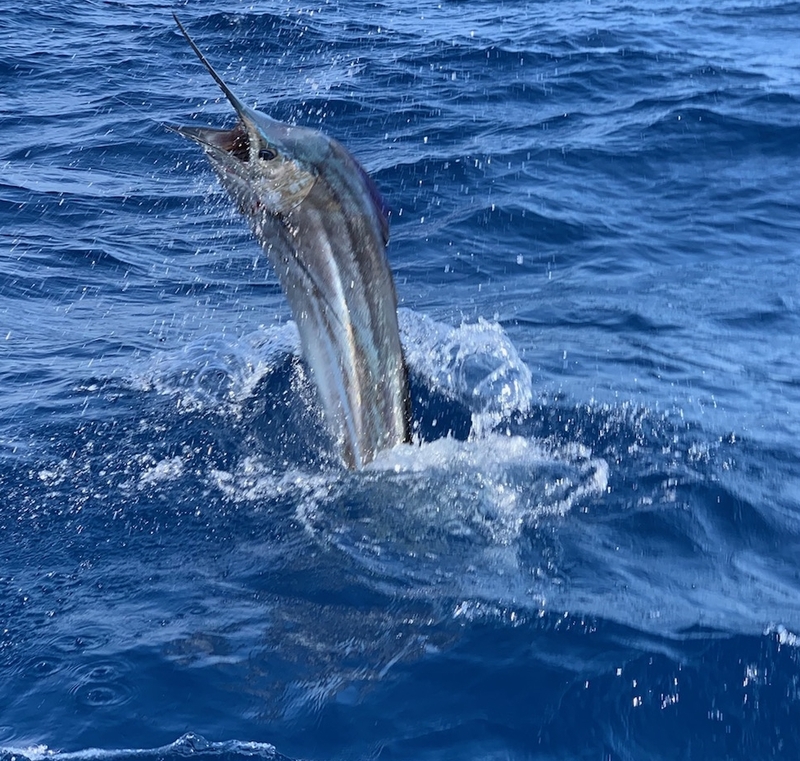 Those Sailfish as most others we have caught and released this week took live baits fished right in the vicinity of the “3rd Reef”, an area approximately a mile off the beach here. But please remember, every day is not like a trip to Orlando and Mickey is standing at the gate and waving every day when you enter. There are difficult days in the mix. 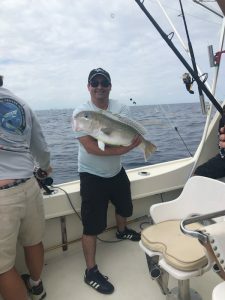 Some really nice Kings on those same shallow reefs with some Bonito and then small to medium Tunas off the edge in water from 200 to 500 feet deep. The bright spot, actually brighter than bright, continues to be the Golden Tilefish, which continue to act as if the next meal may be the last meal. 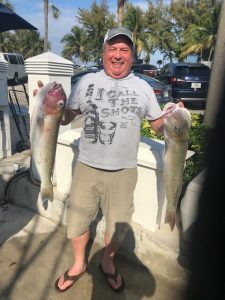 Wicked bite and good fish as well. Hope you enjoyed the photos of recent anglers and their fish. We’ll post again in a few days. Tight lines and good fishing from all of us here @ Marlin My Darlin. See you on the rip.